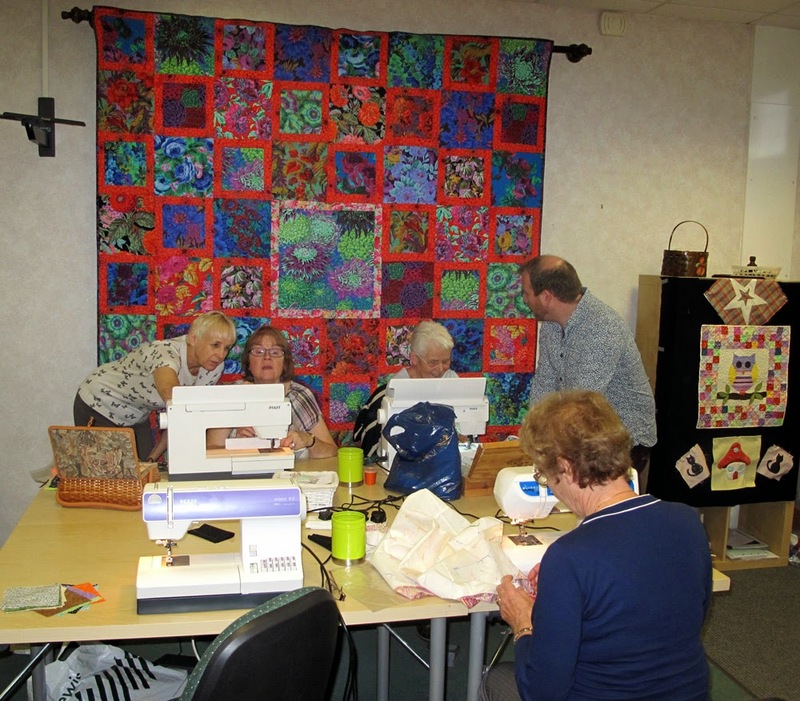 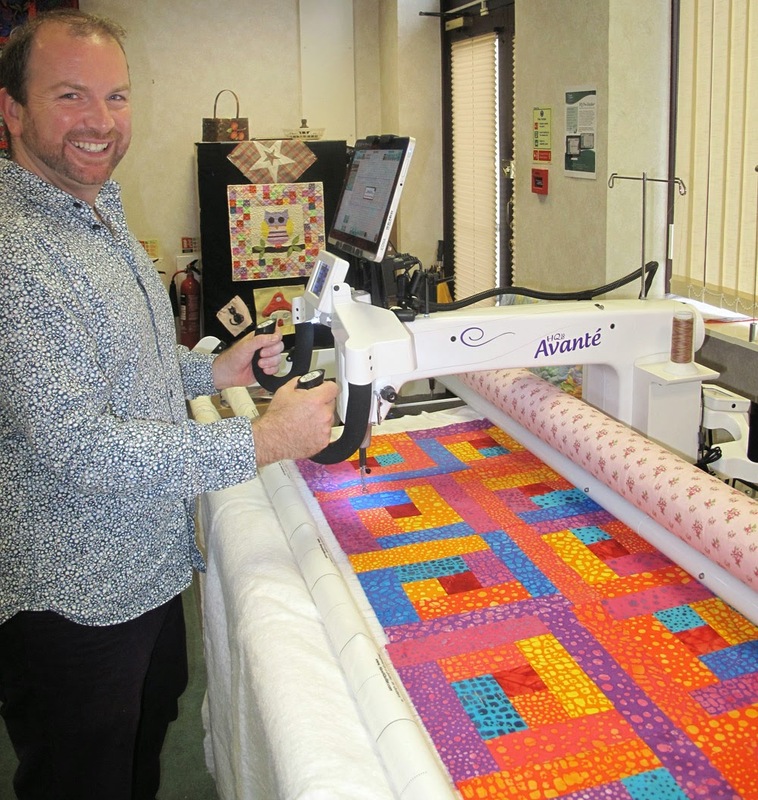 It was a hive of activity at The Cotton Patch in Hall Green on Tuesday as customers and staff took part in the Project Linus UK Quilting Day. 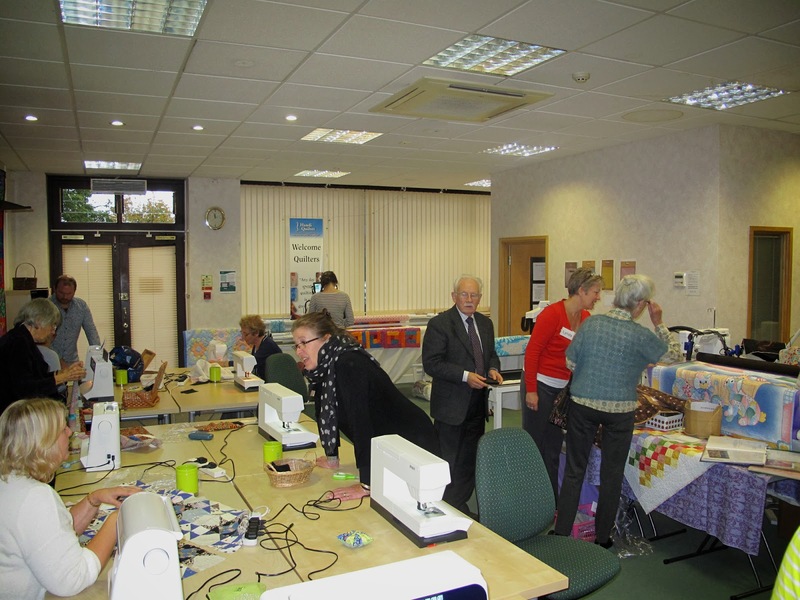 The day was organised by Joy Edgington the Cotton Patch's resident tutor and also the area co-ordinator for Project Linus UK. 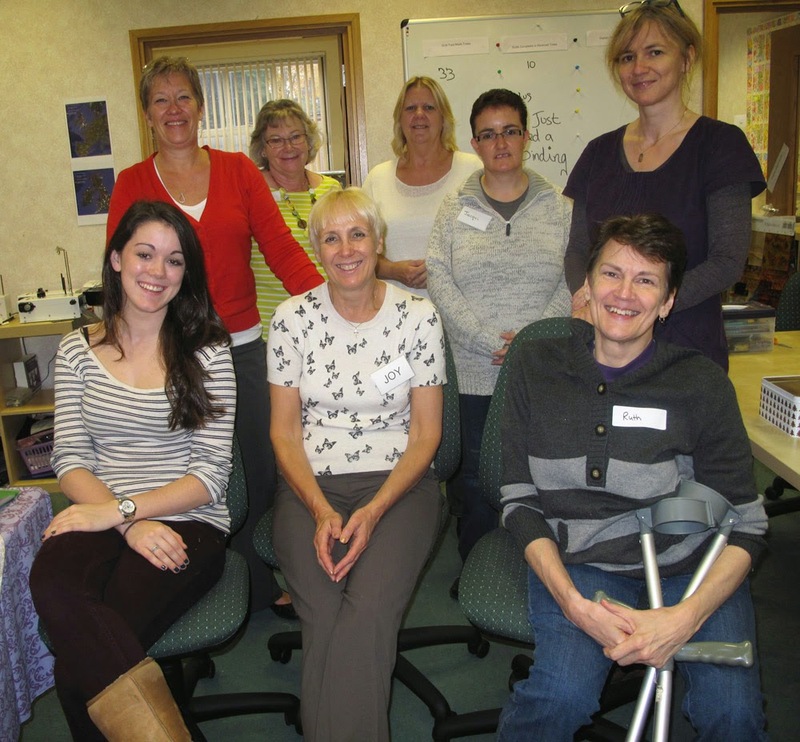 Joy has now sent us the following letter which we would like to share with you. Following the success of the Project Linus Sewing day I’d like to say a big thank you to Geoff, Jean and all the team at The Cotton Patch for allowing the use of the studio facilities for this event as well as providing support through staff time and donations of biscuits, fabric, wadding and raffle prizes. 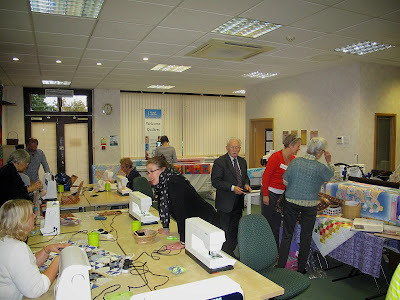 I thank all those who took part and donated their time, skill and enthusiasm on the day including Ann Rowley and Stuart Hillard who came along to show their support. 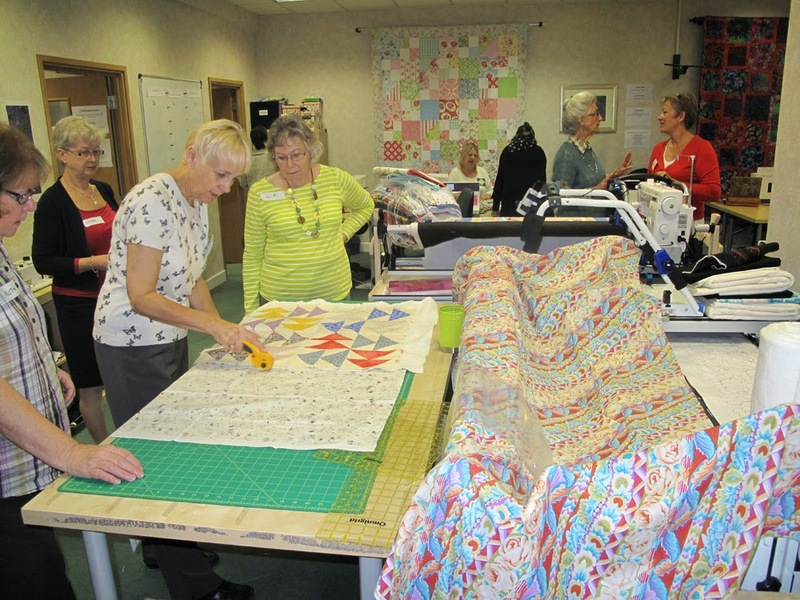 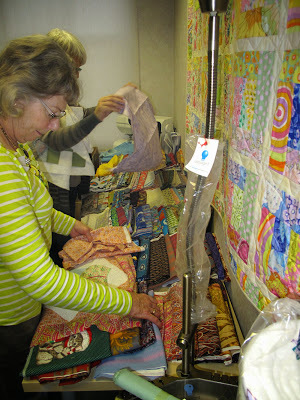 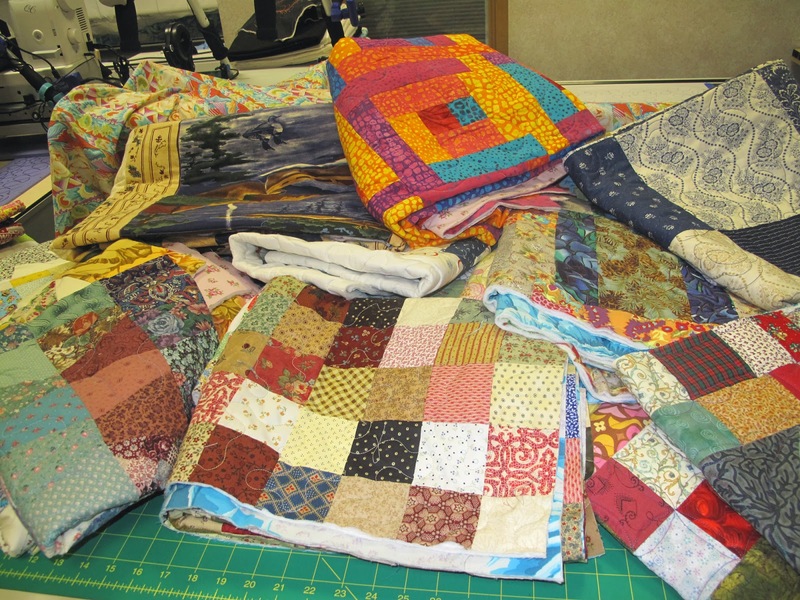 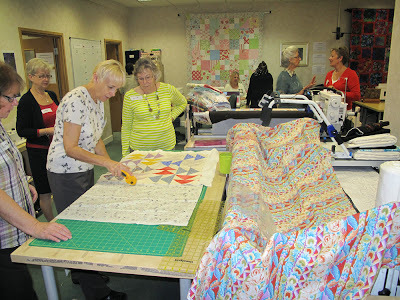 Many of whom took way more fabric or orphan blocks to carry on making quilts at home. 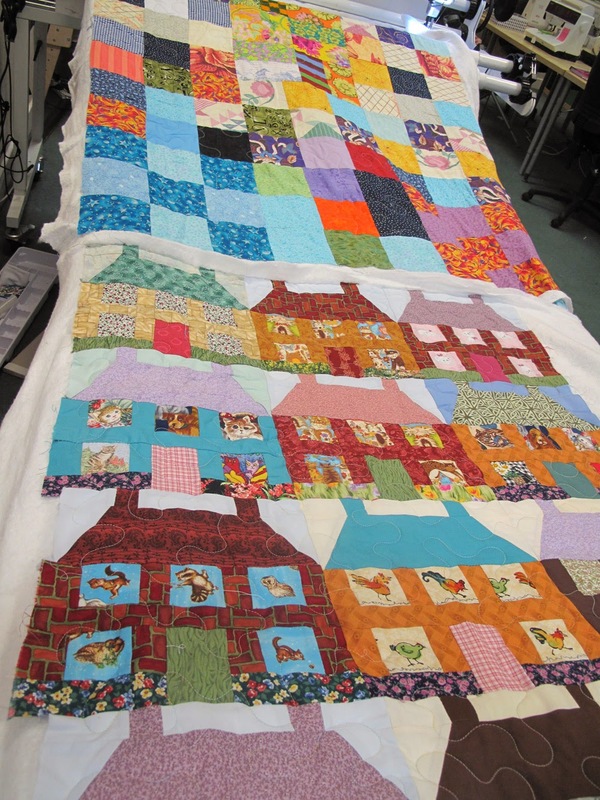 Also Clare Nevin from Mencap and Cheryl Curson from the Birmingham Women’s hospital Neonatal unit and Bliss who came along to talk to the volunteers before being presented with a total of 52 quilts for their respective organisations to pass on to children needing a hug. 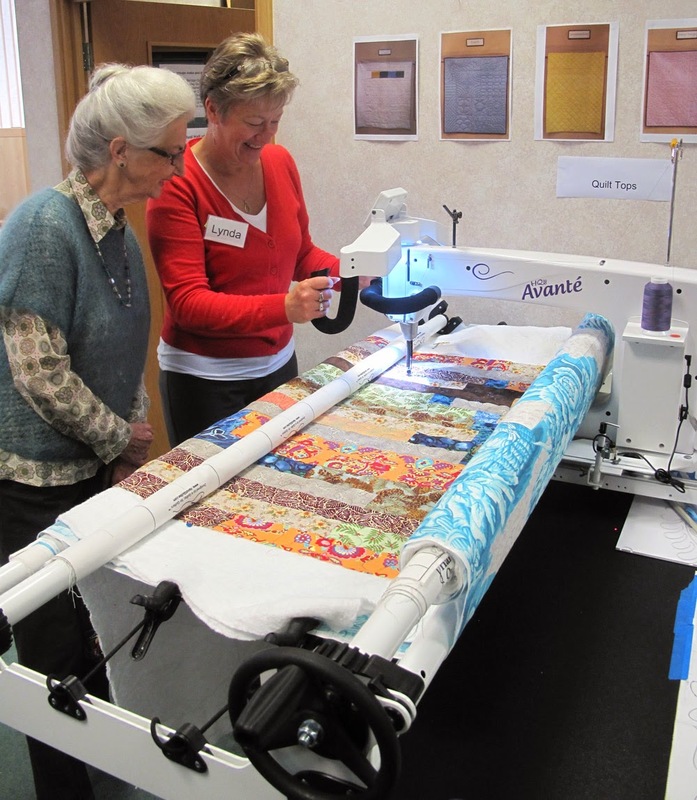 A special thank you is due to Lynda Jackson who travelled from Sheffield to run one of the Handi Quilter long arm machines alongside Nikki Southall from the Cotton Patch which meant that 30 tops were able to be quilted during the day. In all an amazing eleven quilts were completed on the day with a further 19 quilts and 7 play mats awaiting binding. A special thank you is also due to Jacqui Oldham who not only spent all day helping volunteers with pressing and making fabric choices etc but also spent the whole of the following day sewing the bindings onto the remaining 19 quilt tops and 7 play mats.